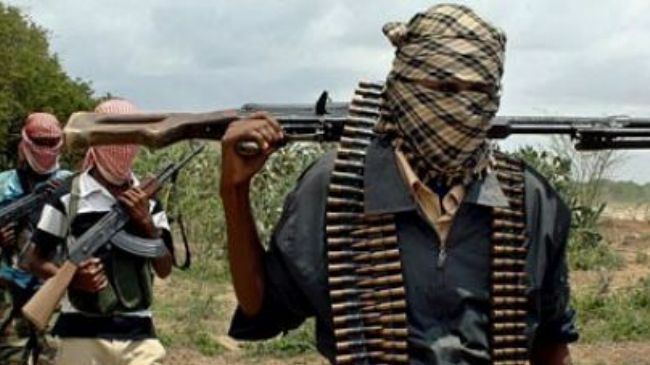 The police in Anambra on Sunday confirmed that a gunman killed eight worshipers and injured 18 others in an early morning attack on St. Philip Catholic Church, Ozubulu, Ekwusigo Local Government Area. According to NAN report, the Commissioner of Police, Garba Umar said that the remains of the dead had been deposited at Nnamdi Azikwe University Teaching Hospital, Nnewi. Umar also said that the injured were taken to the hospital. He said that preliminary investigations by the police revealed that the attack was carried out by a native of the area. “From our findings, it is very clear that the person who carried the attack must be an indigene of the area. 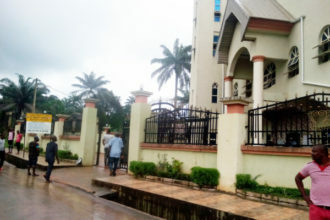 We gathered that worshipers for 6 o’clock Sunday mass at St. Philip Ozobulu were in the service when a gunman dressed in black attire covering his face with a cap entered the church and moved straight to a particular direction and opened fire. The man after shooting at his targeted victims still went on a shooting spree, killing and wounding other worshipers,’’ he said. The commissioner said information available to police showed that the attacker was speaking undiluted Igbo Language at the time he was firing at worshipers. Umar said though no arrest had been made but that the police already learnt that the attack followed a quarrel between two natives of Ozubulu residing overseas. He said the police had launched a manhunt on those behind the act and gave an assurance that everybody behind the act will be brought to justice. Umar described any insinuation that the attack was carried out by Boko Haram elements as false and urged the people to go about their normal businesses. He said the police is on top of the situation.